Skale believes there’s an unexplained phenomenon at play when you enter a space that just feels right, a space that anticipates your needs before you realize you even have them. The energy changes. It draws you in, cloaks you in comfort, seduces you with its sleek, fluid lines, and gently beckons you to stay. It’s unmistakably visceral. And it can only be achieved when function and form are inextricably bound, when a space is created with people’s needs and feelings in mind. When these pieces come together, the result is a space that’s impossibly intuitive – a unified whole infused with modern, inspired, and above all, purposeful design. The result is the bluffs. And it’s brought to you by Skale. 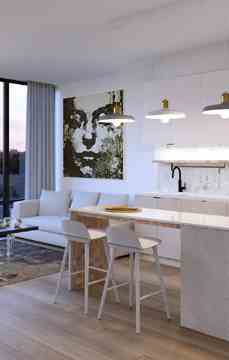 Figure3 interior design specializes in creating spaces that reflect the people who use them. They believe that beauty in design only scratches the surface, using a combination of style and substance to impact living space. RAW and Figure3, Toronto-based design powerhouses, collectively bring to the table an impressive arsenal of international landmark structures, with a focus on function and materials that reflect their purpose. Their uniquely modern sensibilities will help ensure artistic and functional integrity at every stage. Just to the south lie the Scarborough Bluffs – an unchanged slice of idyllic, natural scenery. Each enhances the other in a rare offer to flow freely between the two - sleek city lines and untouched, natural respite. 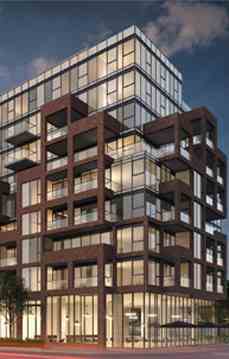 The Bluffs is a condo development by Skale Developments located at 2815 Kingston Road, Toronto.